A cross-cultural migration of imported Western modernism pervaded the fields of Japanese architecture during the Taishō (1912–26) and the early Shōwa (1926–45) periods. Young Japanese architects, inspired by modern architectural trends from Europe through the distribution of publications and by word of mouth, passionately discussed embracing these new possibilities for modern Japanese architecture. In terms of Japanese housing in the late 1920s, the majority of houses in Japan still utilized the traditional Japanese style of living. However, trend of infusing both Japanese and Western culture became more popular, and a hybrid of Western-Japanese architectural approach to all styles of architecture became a compelling alternative in the Japanese metropolis, Tokyo. 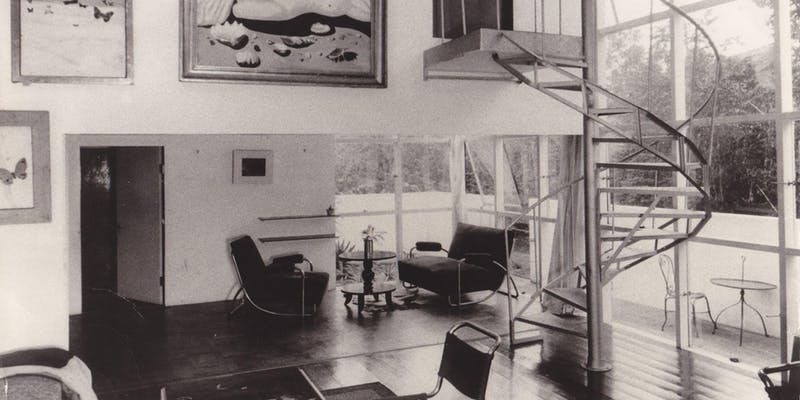 Through a close investigation of artist Migishi Kōtarō (1903–34)’s atelier in Tokyo (1934), Dr. Suzie Kim will discuss modern architectural practices of Japanese architect and former Bauhausler Yamawaki Iwao (1898-1987), who sought to advance Japanese housing style based on his study at the Dessau Bauhaus between 1930 and 1932 and searched for a synthesis between geometric forms, straightforward structures, reinforced concrete, and the traditional Japanese construction methods. Suzie Kim is Assistant Professor of art history at the University of Mary Washington. She received her Ph.D. in Japanese and Korean modern art history from University of Maryland, College Park in 2015 and has held internships and fellowships in the Japanese art curatorial department at the Arthur M. Sackler and Freer Gallery of Art, Smithsonian Institution, Washington, D.C. Her research investigates how Constructivism became the primary source for a multifaceted cultural phenomenon in Japan and Korea from the 1920s onward. Her wider areas of expertise include postcolonial theory, colonial architecture of Korea, and cross-cultural interactions between European and East Asian avant-garde movements.